This is for 10 round wooden fence posts they are 1.65m (5.5ft) tall by 50mm (2 inches) diameter round wooden fence posts which have been pressure treated for a long life. 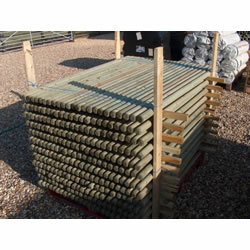 THESE ARE STRONG, NEW, TOP QUALITY POSTS IDEAL FOR FENCING. 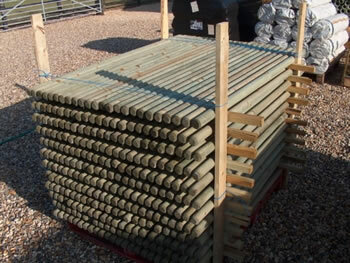 THE LENGTH IS 1.65 METRES (5.5 ft) AND THE DIAMETER IS 50mm.